Paula Anton is slowly tormented by mysterious happenings in her luxurious Victorian home. The suspect is her devoted husband. 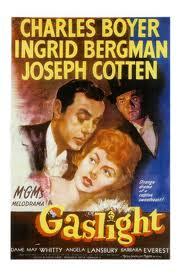 But viewing the world through the dim glow of the gaslight, it is difficult to tell what is real. Charles Boyer and Ingrid Bergman star in this menacing thriller.